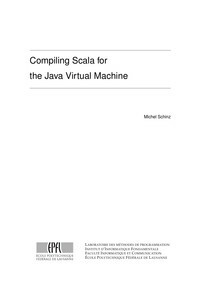 This book focuses on the compilation of two important concepts of Scala : mixin inheritance and run time types. The compilation techniques are presented in the context of the Java virtual machine, but could be adapted easily to other similar environments. Mixin inheritance is a relatively recent form of inheritance, offering new capabilities compared to single inheritance, without the complexity of multiple inheritance.